Caliber trucks entered the game a couple of years ago. They are usually one of the first trucks beginners learn about and for good reason. They have powerful marketing, great media and are backed by a solid team of skaters, ranging from freeriders, dancers to downhill skaters, including some of the most famous names in longboarding (Liam Morgan and previously James Kelly). But anyway, does all of that mean anything if the trucks aren’t any good? I go over them in this review and let you know whats what. Why are Caliber trucks so stable? The caliber trucks 50 is the go-to for people wanting to do dancing, cruising or carving and even downhill or freeride for the braver ones. They make great trucks for beginners because of how stable yet turny they are. The 50-degree baseplate angle means they will turn a lot, but they will still be stable and easy to use thanks to the ‘special geometry’ of the trucks. The trucks have a barrel bushing on the bottom and a cone bushing on the top. The cone bushing really maximizes the turn of the truck and then the meatier barrel bushing gives more resistance and thusly stability, meaning you’ll get a solid truck that turns when you want it to turn. You can have it set up to be really slow turning or really quick turning (to weave in and out of crowds) depending on the longboard you set it up on. Personally, I think at 50-degrees is when these trucks really come alive and perform their best check these 50-degree trucks on Amazon.com to take a better look at them. The Caliber trucks 40 are the go-to for downhill and freeriding. I personally think they are some of the best cast trucks for beginners. The ‘special geometry’ makes these trucks super stable and solid for downhill riding. The 44-degree angle allows them to only turn as much as you lean, allowing for accurate steering and true truck feedback. The trucks come stock with 89a barrel bushings and cupped washers. The barrel bushings are the most appropriate for downhill, they have a lot of resistance and won’t let the truck turn too quickly. The cupped washers also restrict the bushings movement ensuring you get the most stability. The features mentioned above make these trucks a favourite for downhill skating and freeride. Caliber trucks skate team is chockful of skilled downhill skaters and freeriders, demonstrating how great these trucks are and what you could do with them. These trucks have smaller hangers and come stock with a 50-degree baseplate. Their dimensions vary and they are 1 inch shorter than their counterparts and this makes them better for certain things. A narrower hanger and a high baseplate angle make for a nimble and quick turning truck. Making these trucks prime for cruising, carving, weaving between cones etc. If I had a cruiser board, I would run these trucks on them. But also, being 9inches they need a board that is only 9inches wide. Having these two things the same size gives you appropriate leverage over your trucks and allows you to get the best truck response. These trucks are good on cruisers and dancers. I wouldn’t recommend them to most beginners but they are great if you want them for cruising. This ‘special geometry’ I’ve been talking about is actually pretty simple. Caliber trucks have a restrictive but stepped bushing seat and no rake on their hangers, making for a stable direct steering feel. The restrictive bushing seat hugs the bushings tightly in place and doesn’t allow them to move. This reduces side to side slop which can cause speed wobbles at higher speeds and can make the truck unresponsive and feel sluggish to a riders input. Having no rake means the turning will be linear – it will only turn as much as you lean. The alternative is rake which turns a little, then a lot and then little. Rake is nice if you want a more lively truck. It makes the hangers sit taller so you have more leverage on your bushings and a deeper turn, however for some it makes trucks feel divey and twitchy. However, because the bushing seat is restrictive and there is no rake, the trucks can feel dead for some riders. Especially the 44-degree variety. The 50 degree will turn and feel great thanks to the cone bushing and high baseplate angle so no worries there. If you want a more responsive, turnier downhill truck, the Paris V2 Trucks are a good alternative. Thanks to the restrictive bushing seat, any bushings you run will feel harder than they actually are. This is good if you want stability but bad if you want them to turn a lot – they can end up feeling dead with hard bushings. I personally ride these trucks and my solution for this was to run a split baseplate angle setup. 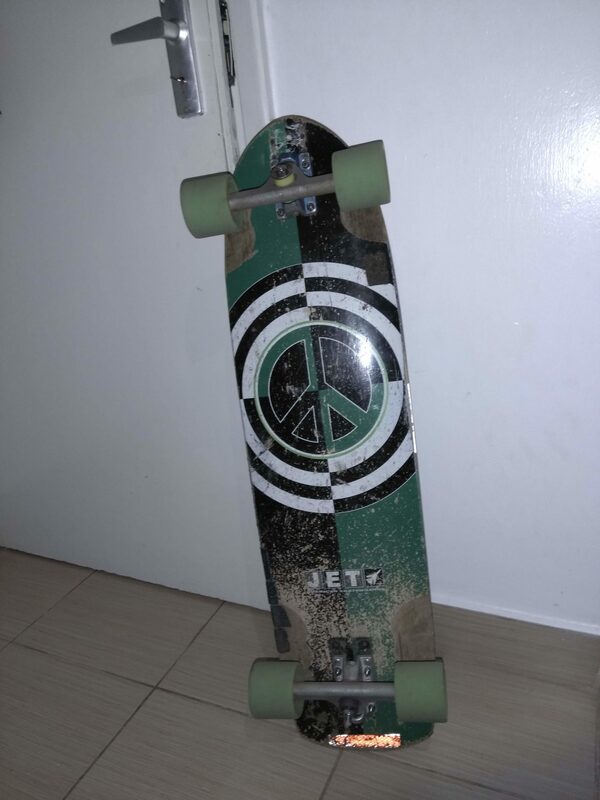 I could run them with soft bushings, still be stable and enjoy as much lean as possible. Randal lower angle baseplates. So I was able to mix and match and find the right setup for me. 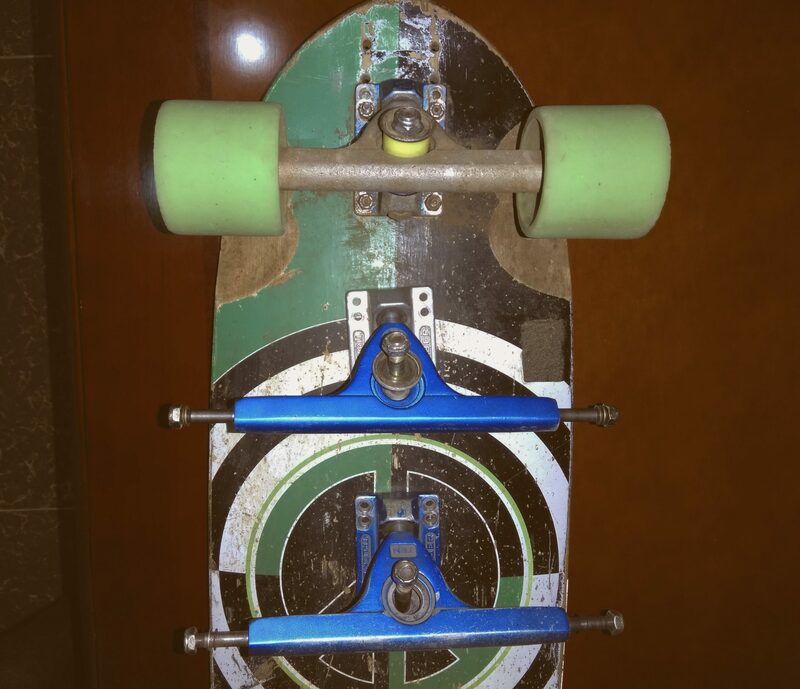 If you still want to run a symmetrical setup, 87a-89a hard bushings feel best. You get the best turn and stability ratio with these bushings, especially if you weight about the same as me (140lbs or 70kgs). If you want a bit more turning and a bit more lean out of your trucks, replace the cup washers with flat washers and you’ll be good to go. It will allow your truck to move better and use your bushing to its full potential. Replacing the road side washer will give you more initial turning and replacing the board side bushing will allow you it to have more lean – given that the other washer is a cupped washer in both cases. These trucks come in at a great price and are super affordable. They don’t break the bank and they give more value than they are worth. Beginners can really benefit from getting these and they will help them get up to speed quickly. I think they definitely leave something to be desired but that can be addressed later. The most important thing is to get started skating and then take it from there, these trucks more than accommodate what you need when starting out. You need this experience, as generally , experience is the best teacher in this game. ← How do I manage to get all my gear in Kenya?